Clouds and some sun this morning with more clouds for this afternoon. A stray shower or thunderstorm is possible. High 66F. Winds ENE at 10 to 15 mph.. Scattered thunderstorms this evening becoming more widespread overnight. Low around 45F. Winds NE at 10 to 15 mph. Chance of rain 90%. Devlin Daniel Scheuer “Diz” died unexpectedly Nov. 17, 2018. He was born Sept. 12, 1967. 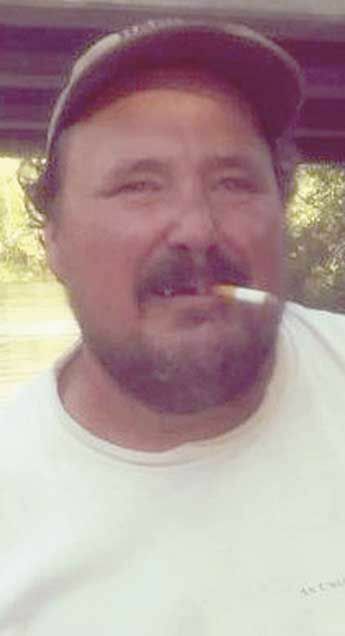 He was an avid fisherman, camper, and all outdoorsman. Devlin worked many years as a mason, was owner operator of Lil’ Izzy’s Snack Shack. He loved his cat Buddy and was a wonderful uncle to his nieces and nephews. He was a free spirit. He was preceded in death by his parents, Buster and Audrey; and sister, Kathy Gay. He is survived by his sisters, Nancy (Randy), Heidi (Royce), and Peggy; brothers, Tony (Bonnie), Brad, and Clint (Kyla); and best friend and brother, Eric (Poo); and many many other relatives and friends. Devlin was one of the kindest, sweetest, gentlest person. He graduated from Osceola High School. He was a loved brother and best friend. He would do anything for anybody without asking for anything in return. He loved trains and ships and liked to collect antiques. He will be dearly missed by his family and friends. Rest in peace, Brother. Memorial services were Nov. 26 at Peace Lutheran Church in Dresser. Arrangements are being handled by the Grandstrand Funeral Home in Osceola, Wisconsin. Condolences may be expressed online on www.grandstrandfh.com.